Today (March 1) we’re joined by some special guests! 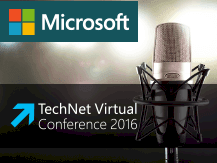 A big welcome to IT professionals from Microsoft’s TechNet Virtual Conference 2016, where I’m doing a presentation titled “Top Tips From A Headhunter” to help IT folks deal with career crises. For those new to Ask The Headhunter, I invite you to check out Ask The Headhunter In A Nutshell: The short course. For more in-depth methods to handle your own career challenges, please also see 600 Editions: The Best of Ask The Headhunter! Related to what I discussed in the video you just watched on TechNet: Please! Stop Networking! Advance your career by learning to “talk shop” with people! The ATH portion of the conference is March 1, 11:30am PT with Q&A to follow. If you’re reaching this in time, please join us: enter the event here. Microsoft Week! Save 25% on any Ask The Headhunter PDF books this week only! Use discount code=MSFT when checking out! This offer is limited-time only! Save now! I love speaking in public, giving presentations, leading group discussions, and teaching classes. If I were given the challenge of speaking in front of 500 people with 60 minutes notice, I would rub my hands together with glee. Please help me understand how to turn my talents into $100,000 a year. Ask The Headhunter: Where your dreams come true! Ask yourself, What company or organization could make a lot of money and profit by having you do those things you love? That’s who to go to about a job. You need to come up with a mini-business plan for each company you target. What problem or challenge do they face? How can you tackle it to produce profit? What’s the best way to explain it to the company? Who’s the best person to explain it to? How can you track down people that “best person” knows or works with — people who can introduce you? You’re not going to get hired to do what you love. You’ll get hired to do what you love if you can show how that will pay off to an employer. That’s your real challenge. You must figure it out and communicate it, because no company is going to figure it out for you. For more about this, see The Basics, then rub your hands with glee! I worked in San Francisco and Silicon Valley for 25 years recruiting. I have references from great companies. No one seems to be interested in my valuable experience. In fact, I was told no one would hire me in Silicon Valley. I need someone to check my experience out. I would very much appreciate a referral that could help me track these rumors down. Ah, let me get out my little black book… You’d need to hire a private detective. I don’t know any. Just because someone told you that you’d never get hired in Silicon Valley doesn’t mean anyone else feels that way. If you’re concerned about your references, you might ask a hiring manager at any company (someone you’re friendly with) to contact them and ask them what they think of you. You might identify the problem that way, assuming you have one. In the future, Take Care Of Your References. As for the value of your experience, please see my reply to Question 1. I came across your article, Wanted: HR exec with the guts not to ask for your social security number, after a local recruiter asked me for information I’m not comfortable sharing. I guess I’m really hoping that you might offer a bit of advice — whether I’m right in thinking this is a red flag, and how I might further respond to her request and comments. How to Say It: Up your xiggy with a blowtorch! Recruiters love applicants who speak the local jargon, so that should go over well. But employers have no legitimate reason to demand your SSN just so you can apply for a job. The recruiter gives away the problem when she admits the employer’s ATS needs your SSN to avoid duplicate submissions of your credentials. They use it as a hash — a unique database key to identify you. That’s how the employer avoids fee battles between recruiters who both claim they submitted you. Lazy ATS system designers misuse a federal ID number for their own purposes. In the process, the recruiter, the employer and the ATS vendor are intimidating job seekers and putting them at risk of not getting a job over the ATS vendor’s silly database trick. Hence the need for a blowtorch. I don’t like lying. But I also don’t tolerate stupid bureaucratic tricks by employers and ATS vendors — at the expense of job seekers. What you do is up to you, of course. What I’m suggesting could cause you problems. But what the recruiter and ATS vendor are demanding could cause you problems, too. I’m just telling you what I’d do. Always follow the instructions that come with a blowtorch. Should I disclose in a job interview that I applied to grad school a few weeks ago, and that if I get in I won’t be taking the job? The job interview is in about two weeks. First thing I’d do is buy a lottery ticket and put it in your pocket. Would you tell an employer you have that ticket in your pocket, and that if you win, you won’t need the job? I see no reason to disclose your graduate school application, unless and until you’re faced with a choice about going to grad school. Make sense? How would you deal with these four situations? Geez, I am on a roll! Post your comments before I slow down! Will employers explode if you squeeze them for interview feedback? Usual question now is last four of SSN and Day/Month of birth. I go along but it still bothers me. SECTION 1798.85-1798.89 on usage of SSNs? (8) Alaska’s law states that a person, business or government entity “may not request or collect” an individual’s social security number unless authorized by law, with limited exceptions. A.S. § 44.48.400 (2008). Under the Kansas law, a business shall not “solicit, require or use for commercial purposes an individual’s social security number unless such number is necessary for such person’s normal course of business and there is a specific use for such number for which no other identifying number may be used.” Kan. Stat. Ann § 75-3520 (2006). Maine’s law prohibits the denial of goods or services because an individual refuses to provide an SSN, with limited exceptions. Me. Ann. Stat. Title 10 § 1272-B (2003). Rhode Island’s statute also prohibits the denial of goods or services for refusal to provide an SSN, with three exceptions. R.I. Gen Laws §6-13-1. New Mexico also limits the collection of SSNs: “No business shall require a consumer’s social security number as a condition for the consumer to lease or purchase products, goods or services from the business.” NM Stat. Ann. § 57-12B-3. This law permits businesses to require SSNs, however, “if the number will be used in a manner consistent with state or federal law or as part of an application for credit or in connection with annuity or insurance transactions” or “if the consumer consents to the acquisition or use.” NM Stat. Ann. § 57-12B-3. For #3 if you’re female and the recruiter male, I’d avoid the blowtorch reference and offer my fingerprint instead. Re: SSN and middle initial… on the one hand, it’s hard for me to drum up umbrage for last 4… it’s a common identifier, I’ve had many jobs where that was my clock in/clock out, or where I need to say them to identify myself for whatever reason… on the other hand, technically the last 4 are the most secure, as you can theoretically figure out the other 5 (I know part of it is a state code related to the state you were in when you got your number, for instance). It’s def not as egregious as asking for the whole number. If you’re nervous, yeah, give them a number that is one digit off from your real one and chalk it up to a miskey. Re: Silicon Valley recruiter, I could see your having been blackballed for some reason, but there are plenty of orgs out there looking for your skillset that are not so deeply tied to SV. Washington DC (where I live) has a really thriving startup culture and you might check for companies based here but who need a recruiter either here or in SV. Back in the day, slightly before I made a career move into IT (an article for another day), a friend of mine thought, since we were both paralegals, it would be a hot idea to offer a service to back-check references. Nice to see that it still seems like a profit center for someone. I remember when hospitals and health care systems started using ATS and would require your full SSN to make sure you had not been convicted of Medicare fraud or a serial kiddie-diddler. An acquaintance of mine in health care was complaining that they had difficulty hiring IT people. We had a pleasant conversation about recruiting, what the job should pay, how it should not report to the Director of Nursing, etc. When it got to the “necessary” SSN, I inferred that this was a red flag about privacy, identity theft, etc. He made the argument that is was necessary for Medicare, etc. My reply was that perhaps you need to be looking outside the IT community for your IT help then. I’m not sure if they ever changed, and as I recall he took early retirement from health care management. @L.T. : The SSN is necessary for Medicare… after you’re hired! the early ones wanted it as page 1, item 1, and stored your app on the (medical management) ATS by SSN. I remember just how easy the original ones were to hack too. What recruiting firm uses an ATS to submit candidates to a client? They are either emailed or submitted through an ‘agency’/’vendor’ portal. The time stamp decides. That or whomever actually creates the interview, depending on which lawyer you use. My first thought was that asking for part of a recruit’s SSN is a Millennial gimmick to secure ‘control’ rather than tracking ID information. With thirty years in retained and contingency recruiting, if a client told me they need my recruit’s ‘last four SSN’ as part of the submittal process, I’d tell them to jump in the lake. Once they are hired, that is a mare of another hue but in advance? Not Even. When I got the job more than 10 years ago, I filled out the necessary paperwork like W-4, etc.. Then I was told to fill out an application which I stated that I already filled out and gave to the manager of a store three weeks prior. The store manager was diligent in passing the necessary paperwork only to the HR. However, when I got the job, the different manager who hired me said that I had to give the SSN of my beneficiary for life insurance, etc. I fiercely questioned the need for that – he said it was necessary for the paperwork or there is the door. I needed the job after nine months of looking for a job, so I was very reluctant to call the family member who got furious about my boss – she said that it was illegal to do that. So many strange rules by my boss that I filed a complaint to the HR rep a year later. He got audited and had to straighten the files and paperwork. Does anyone have a legal perspective on the use of SSN with in the realm of workplace? Good question. Answer: The same firm that uses job boards to find candidates and charge clients for doing “a search.” It’s just as absurd that people relinquish their SSNs to apply for jobs, as that employers relinquish huge fees to “headhunters” who “source” job candidates via job boards. Wish I had time to research this. 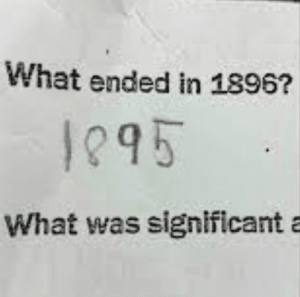 If you find an answer, will you please post it? For the first questioner, about making money giving speeches; he should join the National Speakers Association. He might also be interested in Toastmasters International. For #4, I say don’t worry about it. If you are a good worker and have good colleagues, people will be happy for you if you get in. Case in point: my wife applied to a museum job when she was 8 months pregnant and had just mailed in her grad school application. She couldn’t hide the baby bump but she definitely didn’t mention grad school as an impending proposition – she only said that she was “interested” in further education in the museum field. She got that job – and about a year later she quit after she got into graduate school. People were bummed because she was such a great employee, but also happy that she was going to follow her dreams. Everything was totally fine. Last time I looked, you needed to have a four year degree, pass a screening test, and do 2-3 years at a brick and mortar school, graduate, and pass at least two exams to practice law at the federal level, which is generally where employer / employee relations law is conducted. I am generally amused when people try to do so on the strength of a certificate obtained after a few months from the “Super Excellent Happy Online School of HR”. Yes, all correspondent law school course were deemed inadequate by the ABA in the 1970’s. No, they have not caught up to the 21st century (or 20th for that matter) and approved an online law school to the best of my knowledge. As always, Standard Disclaimer applies to my research. @L.T. : Drat that Standard Disclaimer. I was gonna take your post as a certified lesson and put it on my resume. @Nick: I’m pleased that you like my short explanation of where HR falls short in the practice of employment law. Methinks lousy matching between firms and potential employees is the culprit. Thank you for this link – most helpful. I am thinking of asking to review my personnel file and see what my boss put in the folder. We can request this via the HR. It bothers me that I was to provide the SSN of my beneficiary and I am not dead, yet. So, I would like to have her SSN redacted. From what I understand, it is illegal to possess another person’s SSN (family member or total stranger)on your person. Sounds like a difference between an individual and the employer’s right to ask for SSN of an applicant’s beneficiary. “Someone obviously made a mistake” is not a lie. The database designer made the mistake. I love it… lottery ticket indeed!